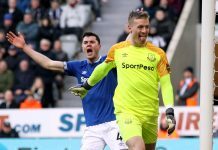 In a world of extremes on social media, it was refreshing for many Evertonians to get carried away with Saturday’s 2-1 victory over Leicester. It was just the Blues’ eighth win in 42 away games in the Premier League, and of those dating back to the start of Ronald Koeman’s tenure with the club, surely the most impressive in all aspects of the performance. A brief glance at Twitter since five o’clock on Saturday evening would have you think the hyperbole spewed by some following the Carabao Cup exit to Southampton was from a bygone era, and not just the four days it actually was. The fickle nature of football has never been more robust than it is now, nor more piercing in its delivery. The same voices that would’ve happily seen Marco Silva given his P45 after an admittedly dreary cup exit would have him hailed as the man to bring the glory days back to Goodison Park after 90 minutes of exuberant attacking play in the East Midlands. Perhaps football has always been this way, but the pressure cooker of the Twitter-sphere aside, the precious three points collected at Leicester revealed facets to Everton’s game that have seldom been seen in recent years. 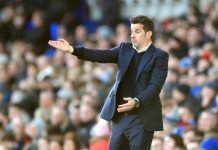 It was a performance that could lead you to believe Marco Silva’s side might well be more suited on their travels, against sides that simply have to take the game to them given the home advantage. Unquestionably it was Bernard who stole the show and further embedded his diminutive frame in the hearts and minds of the Everton faithful. The Brazilian provided some exquisite touches and movement for the duration of the game that left even his teammates struggling to keep up. 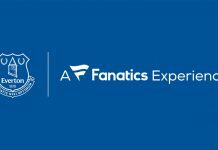 His partnership with Lucas Digne appears to be packed full of pace and attacking potential, and in comparison to even recent away showings, gave the attack some much needed balance. It wasn’t Theo Walcott’s finest afternoon, yet with his blistering pace on the other side and Gylfi Sigurdsson’s anchoring of the attacking quartet spearheaded by Richarlison, all of a sudden makes Everton look far more astute in the final third. There’s the makings a fluid shape and system that genuinely hasn’t been seen spanning decades. This was further proved by Silva’s introduction of Cenk Tosun for Tom Davies. Sigurdsson dropped deeper, Bernard replacing him in the number ten position with Richarlison reverting back to his left-wing role and Tosun leading the line – a simple shift in personnel that gave a weary Leicester back four another headache. Many factions of the media may purr with delight at the attacking trio of other clubs, and probably rightly so. 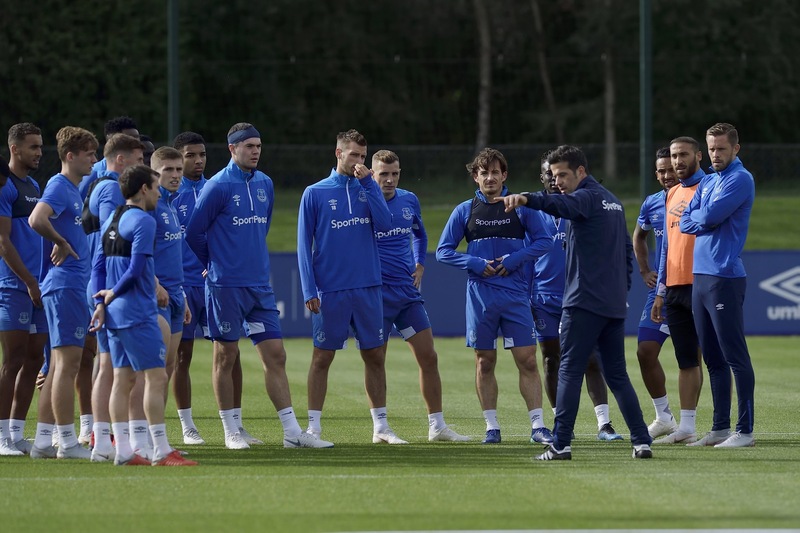 But in Bernard, Sigurdsson and Richarlison, Everton have quickly found their own, that could be equally as effective as the Premier League’s elite if through time they can become more clinical. A work in progress, undoubtedly. 17 shots yielding just two goals suggests potency is still an issue – but the more important aspect of that is the sheer weight of attacking impetus in a side that barely ventured into the opposition half less than six months ago. If Everton are to continue on that trajectory, which of course is not a linear process, something that transcends the volatile and temperamental nature of football on social media is definitely in the offing. It’s well worth remembering that when the keyboard is burning next time.